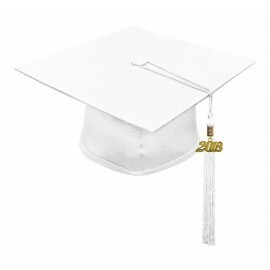 Gradshop's High School Graduation Cap and Tassel Package is your best option if you're looking for a perfect match for your high school gown only purchase to complete your standout high school graduation look. 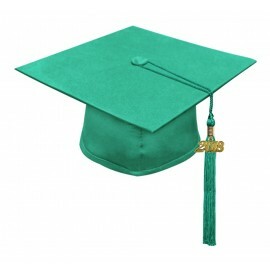 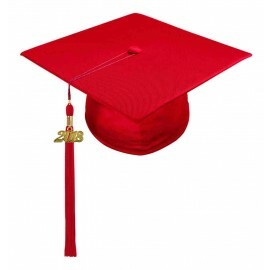 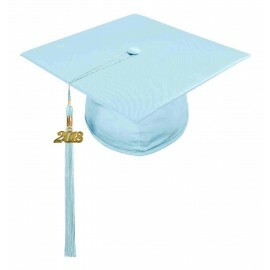 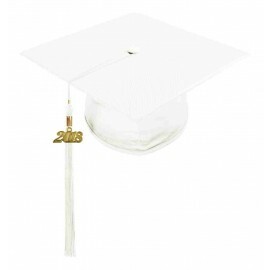 Each pack comes with a high quality high school graduation cap carefully crafted using top quality materials and with a durable mortarboard containing a raised button to securely hold the tassel. The head portion fits securely in place owing to the elastic band which comfortably fits the graduate's head. The package also includes an elegantly designed tassel which has a gold year signet to complete the pack. Order now and have your High School Graduation Cap and Tassel Package delivered straight to your doorstep!